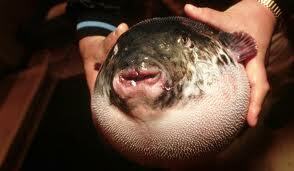 The toxic puffer fish called Fugu in Japan kills about 300 people per year. Fugu can be lethally poisonous due to its tetrodotoxin; therefore, it must be carefully prepared to remove toxic parts and to avoid contaminating the meat.The restaurant preparation of fugu is strictly controlled by the law in Japan and several other countries, and only chefs who have qualified through rigorous training are allowed to deal with the fish. However, the domestic preparation occasionally leads to accidental death. Some consider the liver the tastiest part but it is also the most poisonous, and serving the fugu liver in restaurants was banned in Japan in 1984.Fugu has become one of the most celebrated and notorious dishes in Japanese cuisine. The emperor of Japan can only eat fugu when it is going to be his last meal. Shellac is scraped from the bark of trees where the female lac bug tranverses in tunnels up the branches. The raw shellac is heated and strained. It is then dried and the flakes are mixed with denatured alcohol in order to dissolve the flakes and make liquid shellac. Shellac has various uses including being used in furniture polish, varnish aluminum foil, paints and hairsprays. 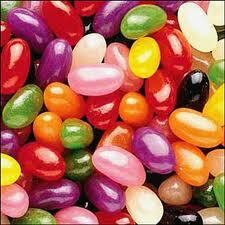 It is commonly used on Jelly Beans and some other candies to give them their shiny appearance. 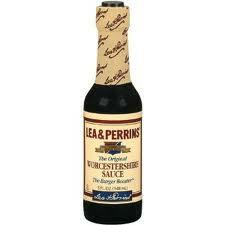 The world renown English sauce, Worcestershire sauce, is actually made with liquefied anchovies. The base for this classic sauce is tiny salt-water fish called anchovies. These fish are aged in vinegar-filled wooden tanks for 18 months (this includes bones and all). The fermentation process releases inosinate, a nucleotide that tastes savory. Steeping with the anchovies are onions which provide glutamic acid to enhance savoriness. This mixture is then mixed with molasses, corn syrup, salt, garlic, tamarind, cloves, chilli peeper extract, natural flavoring and water to form what we know as Worcestershire sauce. In a study from The Smell & Taste Treatment and Research Foundation of Chicago found that the smell of green apples helps relieve claustrophobia. In the study of claustrophobic it is found that green apple scent can help make the room seem bigger, and it also help to reduce migraine and headaches. Always keep a green apple or green apple scent with you, so in case you have claustrophobic you just sniff it and you won’t feel the panic caused by claustrophobia. 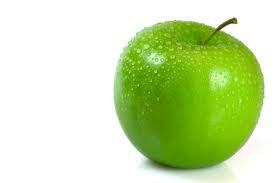 A green apple scent is also used by those who want to sell their house. Making potential buyer smell the scent of green apple using aromatherapy and thus the house will seem bigger to the person smelling the green apple scent. Rocky Mtn. Oysters are actually bull calf testicles. It is a well known dish in the American west and western Canada where cattle ranching is prevalent and castration of young animals is common. 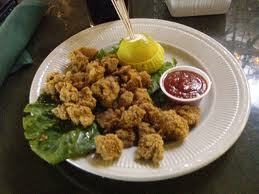 In Oklahoma and north Texas they are sometimes called “calf fries”. Rocky mountain oysters are often served deep fried after being peeled, cooked in flour, salt and pepper. This dish is most often served as an appetizer with a dipping sauce. When purchasing the product from the store it is sold frozen, you don’t get testicles fresh anyplace other than a ranch. Haggis is a traditional Scottish dish. The dish contains sheep heart, liver and lungs. This is then mixed with onion, oatmeal, suet, spices, mixed with stock and traditionally simmered in the animals stomach for approx. 3 hours. 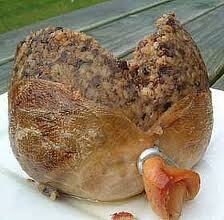 Most modern commercial sold haggis is prepared in casings rather than an actual stomach. Haggis has an excellent nutty texture and delicious savory flavor. 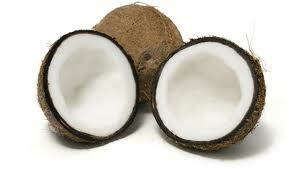 It is widely available in supermarkets in Scotland and other parts of the world. Haggis can also be found sold in tins or a microwavable container. 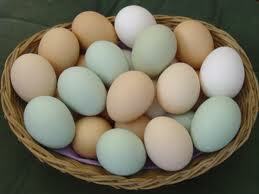 If you set an egg in a bowl of cold, unsalted water you are able to tell the freshness of the egg. A fresh egg will settle horizontally at the bottom of the bowl. A week old egg will rest on the bottom, but the large end will rise up slightly. At about two weeks old the egg will stand vertically, but the pointed end will still be touching the bottom. After this period the egg will slowly start to float and when the egg is floating – you don’t want to use this egg. To summarize this, fresh eggs sink and bad eggs float. The reason is that a fresh egg has a smaller air sac. The Food and Drug Administration says that a certain amount of contamination is unavoidable in commercial food processing. The FDA handbook states that the objectionable matter allowed in certain levels is matter contributed by insects, rodents and birds; decomposed material and miscellaneous matter such as sand, soil, glass, rust or other foreign substances. 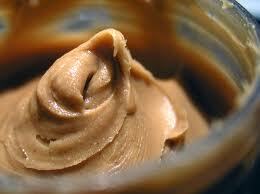 The FDA’s food defect action level list states that in peanut butter it allows for an average of 30 or more insect fragments per 100 grams and an average of 1 or more rodent hairs per 100 grams. 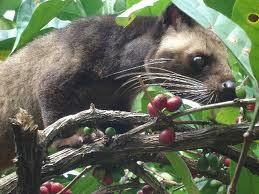 Kopi Luwak is one of the worlds most expensive and low-production varieties of coffee. It is made from the beans of coffee berries which have been eaten by the Asian Palm Civet and other related civets, then passed through its digestive tract, the beans are then defecated keeping their shape. Kopi Luwak is produced mainly on the islands of Sumatra, Java, Bali, Sulawesi and in the Philippines. The processed beans are then sent to the UK to the sole supplier.